Dr Divi is very detailed and explained everything that is going on with you, and she is very thorough. Everyone in the office was friendly, and Dr. Puttagunta was great. She took the time to really listen to my questions,and I would recommend her without hesitation! Everyone in the office was friendly, and Dr. Puttagunta was great. She took the time to really listen to my questions, and I would recommend her without hesitation! Dr. Divi emphasizes the importance of preventive care for all of her patients. This includes counseling for weight loss, diet modification, and smoking cessation, as well as updating immunizations, cancer screening, and annual physicals. She also is experienced with treating chronic illnesses, such as coronary artery disease, diabetes, and hypertension. Love Dr. Puttagunta, great personality and bedside manner. Office is always backed up though, you have to wait longer than normal to get your blood draw... overall I was at the office for over 1.5hours which is way longer than necessaryfor a blood draw, flu shot & quick talk/update of about 5 minutes. Preventive visit was turned into a preventive visit, plus an extra office visit. Very shady and arbitrary. Lady checking me out said that Dr. has the discretion to add an office visit and no other further explanation. Nothing was discussed thatwasn't part of a normal annual preventive exam. Appears to be an extra way to bill insurance companies and patients. I have a high deductible plan, so i am very aware of doctor pricing. I had a good visit last year, so this new policy/scam is disappointing. I will not be going back to this establishment and wouldn't recommend it. I am very happy with Dr. Divi. She was knowledgeable and took the time to get to know my health history as it was my first visit. She even spent more time than any other dr I have seen, explaining theclinical reasons to take a pariticular medication and why she would prescribe it. I really appreciate her valuable time and kindness. All the office staff I encountered was efficient and helpful. I enjoyed my visit with Dr. Divi. She's patient and takes time to listen to me and gives me the best medical advice. Very personable and professional. Great listener and adviser. Dr. Divi has great bedside manner. She was recommended by some doctor friends of mine and seemed very competent. My experience with Dr. Divi was excellent. She took time to listen to all my concerns, was very easy to talk to and unlike a lot of doctors, she thinks outside the box, pointing out the important connection between mind and body. Would definitely recommend her! This was my first consultation visit and I was very comfortable with Dr. Divi. Her medical assistant, Laura, was a gem. I'm looking forward to working with both of them. Dr. Divi is a great listener, very caring and thoughtful. She is non-judgmental and seems very committed to her patients. The staff was friendly, quick, and efficient. I highly recommend Dr. Divi and the practice as a whole. Dr. Divi is very kind, knowledgeable and thoughtful. I did not have a go to doctor since I moved to Texas but I will definitely continue having her going forward. Dr. Divi was very thorough and provided excellent information to all of my concerns. I don't normally write reviews, but she was great! Definitely recommend. Personable. Listens to the patient. Questions for clarification. It was a pleasure to see her. Dr. Divi and Nurse Laura made my appointment seamless and assuring. I'm so glad I was referred to this clinic, it's so hard to meet nice people now these days. I was seeing her for the first time, but immediately felt comfortable with her. She was quick, yet I didn't feel rushed. 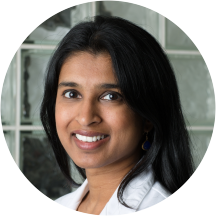 I had my first visit with Dr. Puttagunta and was blown away by how amazing she is. She spent time to actually discuss my concerns and symptoms and listened to me. She is clearly extremely knowledgeable but also has incredible bedside manner. Highly recommend! Dr. Divi was great! She spent 30 minutes or more with me going through my concerns and talking through the treatment options. I do not think I have ever had a doctor spend that much time actually seeing me (usually thedoctor comes in for 5-10 minutes at the end). Dr. Divi was very knowledgeable and made me feel very comfortable asking questions. If you are looking for a great primary care provider in Dallas, I highly, highly recommend Dr. Divi. She is very nice and very thorough. The office/waiting area, lab area, and check out area was very overcrowded. The doctor was not open to listening to my concerns and not willing to compromise on treatment. I was diagnosed with Pharyngitis two days later also because she wouldnot prescribe an antibiotic as I asked. She made assumptions based on seeing tattoos on my body as well. She didn't seem to want to hear my opinion or concerns about my own healthcare. I ended up finding another dr. Her office also would not use my ZocDoc info upon check in, I had to demand they pull it up and even then I had to refill out all the SAME questions again. I found friendly staff in abundance at this practice and my new PCP Dr. Divi Puttagunta in particular exemplifies the very best medical standards one can expect. She listened well, probed gently for clarification of my input and explained her diagnosis and advice clearly. Best doctor I've had ever. Super quick and easy to get in and the doctor was very attentive and seemed to really care about my needs. Highly recommended ! She was very warm, easy to talk to and offered great advice. I'm happy to now have her as my primary care physician. All the office staff were friendly, Dr. Divi was friendly and attentive and helpful. Dr. Divi was very nice and professional. I was asked all the expected questions,plus a few more. She seemed to want to get to the bottom of my problems with a correct diagnosis. I was surprised by the waiting area itwas old and cramped and their lack of parking outside. I waited in the outer office for just under an hour and I was about to leave when I was called to an inner office. The whole office experience felt like a fast food restaurant. I enjoyed my visit with Dr. Puttagunta. I found her to be kind, patient, and attentive. She does not listen. She makes a diagnosis before she hears all the facts. Rather than consider any other possibility, she sticks with her original diagnosis. Even after the test proved negative, she still prescribed medication for her original diagnosis. Please see that your scales are calibrated correctly. We have had a home health care nurse adjust our scales. Your scales are off by approximately 5 lbs. too high. I liked her attention to the concerns I stated'; she responded with sound information and direction. Dr. Divi is a great listener and a compassionate person. She clearly has a stellar background as far as her education. She always takes her time with me and never makes me feel rushed. I always feel as though she listensto the patient as far as knowledge of their own body, and always takes it into consideration when diagnosing. Dr. Puttagunta is a very compassionate doctor. She takes the time to thoroughly engage with you during your appointment and she does not make you feel rushed through. She is very endearing even when suggesting the unhealthy vices that I shouldgive up. Dr. Puttagunta is thoroughly knowledgeable. I feel very confident in her ability to treat me for a variety of my conditions that have required a specialist my past in addition to her Treating some of my more common ailments. Dr Divi was recommended to me from a friend that I work with. This is the first time I met a doctor that spent time with me to discuss list of things I should be working on to improve my health.She wasn't rushing and is a good listener. In addition to my physical, she was also able to recommend the list of shots that I need to visit a foreign country (I know some doctors ask you to do your own research). Highly recommend this doctor! Always answers my questions very informative for me. She gives excellent instructions that I can understand. Pleasant and Lsura her nurse is very pleasant also. Very pleased withy visit. She is timely, thorough and listens carefully before making a professional opinion. I have confidence in her as my family doctor. She was awesome! She answered all of my questions not related to my visit and was very informative. Dr. Divi was amazing. She cared about my condition and asked all the right questions. Her "bedside" manner was wonderful and I felt comfortable from the beginning. She put me at ease for the first time in months of worry. I am so thankful I selected Dr. Divi. Dr. Divi is an excellent physician. She's thorough, knowledge, and very friendly. Highly recommend! She is a great and professional person who I would reccomend to anybody with a great personality. All went great with the physician. However, I had to have labs drawn and the lab tech was very rude and argumentative when I asked her to please wash or use hand sanitizer before sticking me with the needle. She arguedthat her gloves were clean. I tried to explain to her that gloves do not make your hands clean. I also mentioned I am in the healthcare field and work with sick babies. She then stated as she washing her hands that I should know then that "clean" gloves are just as good. Hand washing/hand sanitize is the best way to prevent the transmission of germs.